Sloths are perhaps one of the laziest animals in the animal kingdom. Who sleeps for 20 hours a day, right? The word “sloth” itself came from the Greek and Latin words for “carelessness” and “laziness”. Needless to say, they have a reputation long before they became a meme on the internet. These slow-moving creatures are natives of Central and South America. They spend most of their lives hanging upside down from trees and even remain hanging long after death. They cannot walk, so they pull hand-over-hand to move around at a very slow rate. It literally takes them hours to get something done! 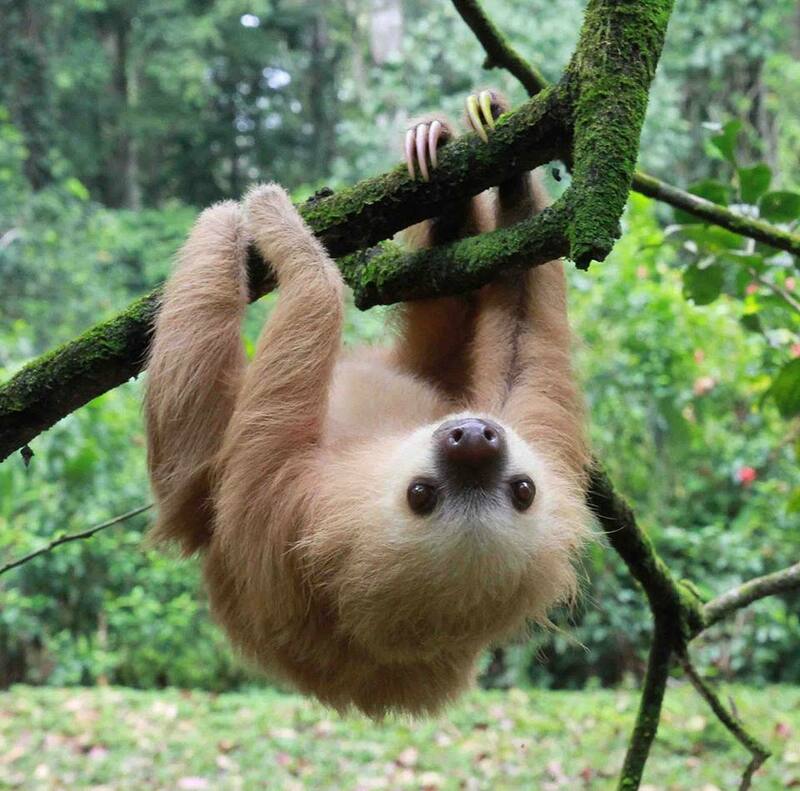 Sloths are widely known for their chill nature and this one, in particular, might just be the perfect example of what a chill sloth is. 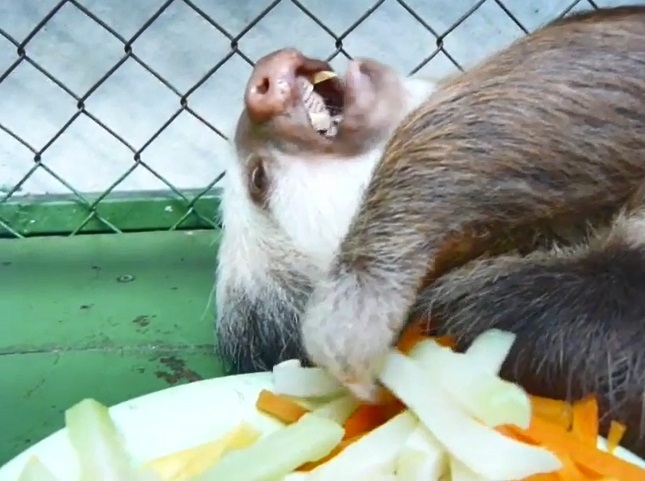 But instead of clinging on to a tree as most sloths do, this funny sloth prefers lying on its back even when eating. Lo and behold, Chewbacca! 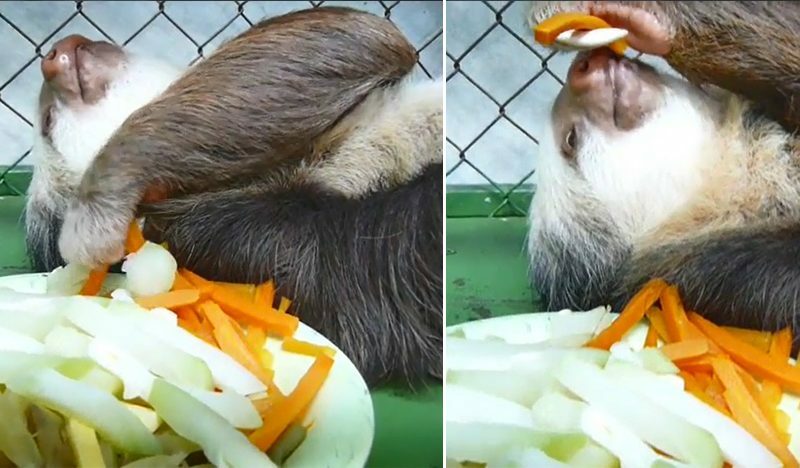 The most relaxed sloth in the world who only eats his food while lying on his back all day. He is a resident at the Sloth Sanctuary in Cahuita, Costa Rica. 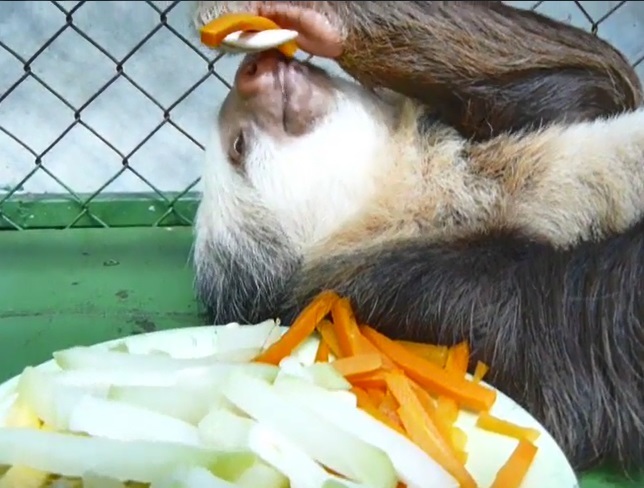 In the video, Chewbacca the Sloth can be seen lying down on his back as he chows down on a vegetable platter filled with celery and carrots. Using only his left arm, Chewbacca reaches out to the vegetable strips and brings them to his mouth to munch on. He does not even bother looking at his food! We all have our fair share of off days when we feel like just doing nothing. Heck, Bruno Mars even made it into a song! Have you ever wished you can enjoy a day and do nothing at all except chill out and chew on your favorite food just like Chewbacca? What can you say about Chewbacca? Share your thoughts and opinion with this article.